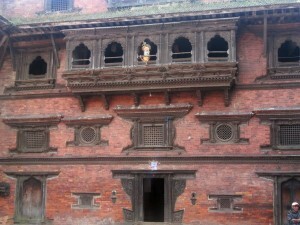 Woodwork is an integral part of the artistic heritage of Nepal, as seen in the three images above from Bhaktapur (including the doorway in to the Library at Namuna Ghar) it is both utilitarian and also plays an important part in religious and devotional day to day life by giving a proximity to the gods and goddesses who are represented in doorways and many other features of Nepali buildings. 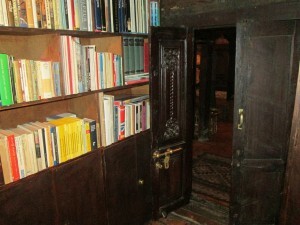 Traditional house and temple woodwork in, in partticular the Newari culture, is of an incredible beauty and intricacy. 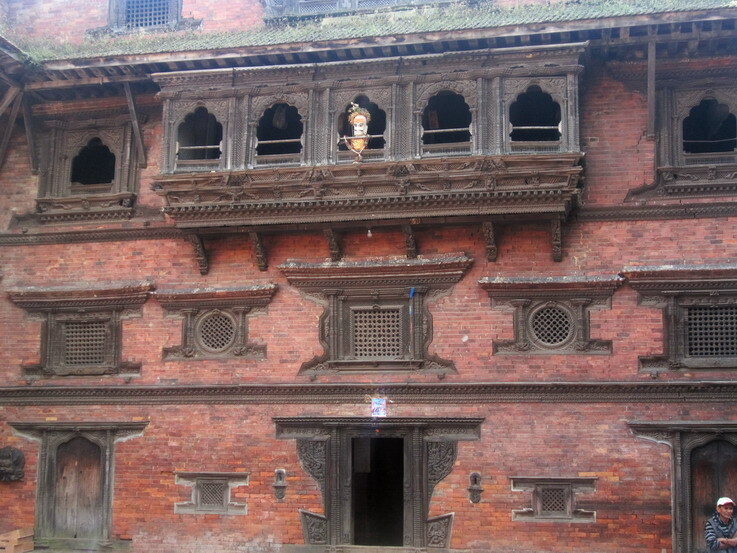 Ceremonial masks and icons of deities are further distinctive subjects for the continuing and thriving genius of Nepali carpenters.